silver scirocco westbound MR yesterday about 3:30-4pm. Spotted in Lansdowne shopping centre. When you park far away from everyone & come out to see a beautiful dub beside you..can't be mad, only love!!! My dirty blue golf...will wash soon. Holy this was a while back, but this is me! Haha. Thought I would park next to you, nice ride. Saw a real nice yellow Caddy with a white Protect-o-top headed southbound on Knight Street in Richmond last night around 7:40pm. And a Mk3 Variant on Renault Alliance GTA rims by VCC tonight. Blue MK4 GLI at Foamers Folley in Pitt. Was me picking up pizza! Nicely stanced wagon & I like the wheels too! Saw a Golf Harlequin on plain steel wheels headed west bound on 49th between Fraser and Main about half an hour ago. Been forever since I've seen one on the street. Saw it again. Westbound 12th Avenue at Clark at 11:30 this morning. 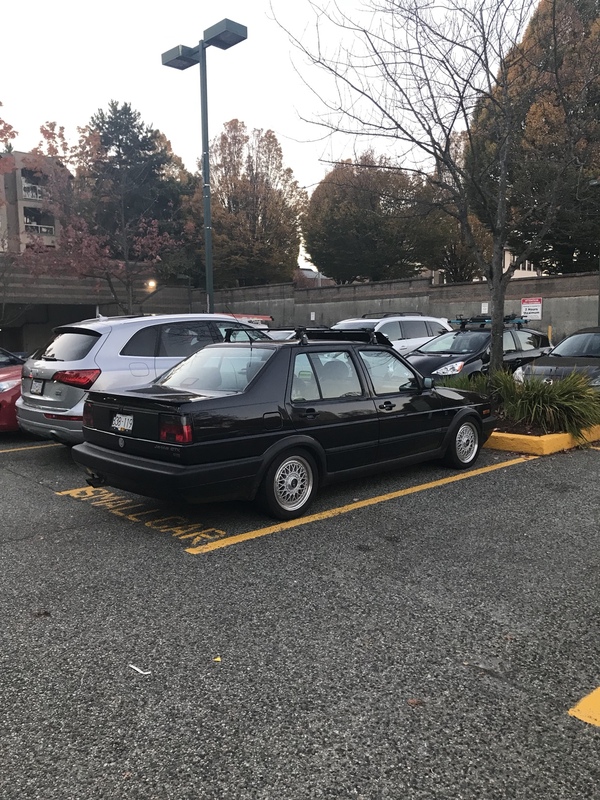 Super clean MK2 GTX spotted at Save On Foods just now. Very nice! Spotted a dumped black passat cc on possibly indt's. I followed you for a quick minute in pitt meadows. Looking good. Spotted Jakub deep in Guildford! Just spotted a jazz blue 20th AE on RCs with roof racks on E 1st in Vancouver. I was driving the other jazz blue 20th with roof racks. Who are you ? I think you know by now that was me. Cool to see another anni on the road in winter! Yeah I took the aristos off for summer. Pretty stoked to have RC winters ! Who owns the yellow gti anniversary up on cypress today with the bbs Lms and turbo badge on the back.. I was in the blue anniversary.